Uninsured New Jersey residents can begin choosing from health plans Tuesday through an online insurance exchange that is one of the major components of President Barack Obama’s health insurance overhaul. Here is a look at what it means and how it will work: (click for full story). As part of the new Affordable Care Act, consumers need to determine whether they are eligible for and want to find new health insurance in the Health Insurance Marketplace. Beginning October 1, 2013, the website, HealthCare.gov will be the place to go to directly access the Health Insurance Marketplace. It will give Americans who are uninsured or who buy their own coverage a new way to shop for coverage. Enrollment period begins October 1 for effective date of January. New Jersey students – public and private – saw a 10-point overall increase in their mean SAT scores last year, a notable jump on a test on which overall results usually hardly budge in any given year. The increase in New Jersey’s scores was especially notable in a year in which the national mean scores were mostly unchanged. 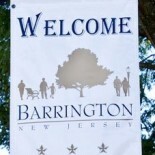 This entry was posted on September 30, 2013 by Barrington Bulletin in Region and tagged news roundup.